UPDATED: Sat., Feb. 9, 2019, 4:43 p.m.
RICHLAND – The Department of Justice filed a civil lawsuit Friday against Hanford contractor Mission Support Alliance, accusing it of defrauding the federal government out of tens of millions of taxpayer dollars. Also named in the lawsuit are former Mission Support Alliance President Frank Armijo, Lockheed Martin Corp. and Lockheed Martin Services Inc.
“Mission Support Alliance denies the allegations made against it by the Department of Justice. It will defend itself against the allegations,” it said in a statement Friday. Mission Support Alliance, now owned by Leidos and Centerra Group, holds a 10-year contract valued at $3.2 billion to provide site-wide services at the Hanford nuclear reservation. Services include security, fire protection, utilities and information technology. The Justice Department is accusing Mission Support Alliance of using half-truths, omissions, kickbacks and outright lies to get the Department of Energy to consent to a $232 million subcontract to a company with which it had ownership ties. Lockheed Martin Corp. was a principal owner of Mission Support Alliance in 2010, when Mission Support Alliance awarded a subcontract for information technology services at Hanford to Lockheed Martin Services Inc. The lawsuit alleges that from 2010 to 2015 the defendants misrepresented billing rates charged to DOE, the effort estimated to be needed to complete work and the anticipated additional profit for the subcontractor. “Defendants’ fraud allowed them to obtain grossly inflated and improper additional profit on the subcontract,” the Justice Department said in a news release. The lawsuit said that estimates of costs for payment rates were inflated in some cases by basing them on far more employees to perform work than Lockheed Martin Services Inc. included in its internal budget. In some cases DOE was billed by both Mission Support Alliance and Lockheed Martin Services Inc. for the same labor, the lawsuit said. The profit paid for Lockheed Martin Services Inc. work was in addition to money Lockheed Martin Corp. was already earning on the same work through its partial ownership of Mission Support Alliance, according to the Justice Department. DOE repeatedly made clear that the subcontractor, Lockheed Martin Services Inc., could not earn profit on top of what its owner was already being paid through Mission Support Alliance, the lawsuit said. Armijo, and Rich Olsen, the Mission Support Alliance chief financial officer, also worked on behalf of Lockheed Martin Corp. and misused their positions at Hanford to help Lockheed Martin Corp. obtain grossly inflated pricing, the Justice Department alleged. In addition to serving at times as the Mission Support Alliance president, Armijo also was a vice president of Lockheed Martin Corp., the lawsuit said. The Justice Department said some employees, including Armijo, told DOE that the subcontractor’s pricing did not contain any additional profit for the subcontract for the same work on which Lockheed Martin Corp. was already earning profit through its ownership of Mission Support Alliance. The millions of dollars that Armijo and other employees were paid in cash and stock as part of an incentive program amounted to kickbacks for improperly using their Mission Support Alliance positions to provide favorable treatment for Lockheed Martin Corp., the Justice Department alleges. Olsen paid $124,440 in August to resolve his liability and agreed to cooperate in the federal investigation. DOE identified the possibility of fraud to the D OE Office of Inspector General and the Department of Justice, said Joe Franco, deputy manager of the Hanford DOE Richland Operations Office. “DOE will not tolerate fraudulent behavior by its contractors and will continue to strengthen its federal oversight at Hanford,” he said in a statement. DOE previously said that Mission Support Alliance improperly awarded $63.5 million in taxpayer money as profit to Lockheed Martin Services Inc. The Department of Justice is asking the federal court to award triple damages and penalties under the federal False Claims Act, plus civil penalties under the U.S. Anti-Kickback Act. It is also claiming breach of contract, unjust enrichment and Department of Energy payment by mistake. 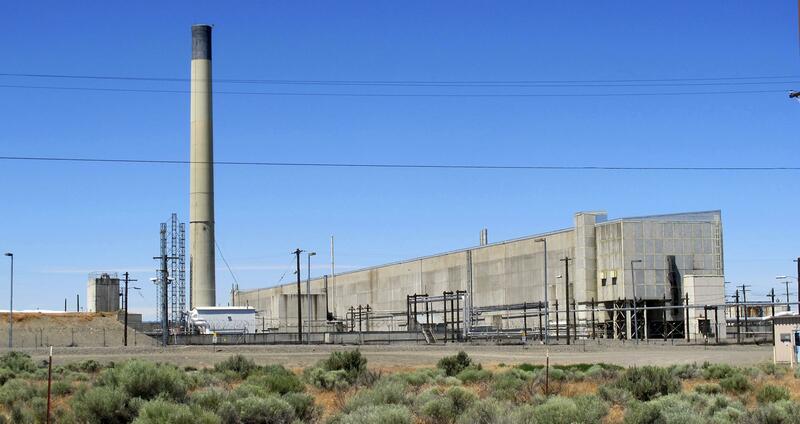 “Fraud, corruption and self-dealing at Hanford will simply not be tolerated,” said Joseph Harrington, U.S. attorney for the Eastern District of Washington, in a statement. Published: Feb. 8, 2019, 9:46 p.m. Updated: Feb. 9, 2019, 4:43 p.m.